The Christmas Cottontail was taking it easy one fine spring day as he sat in his greenhouse waiting for the underbunnies and chipmunks to bring in reports of spring flowers. In many ways, this time of year, more than Christmas and the months leading up to it, was his favorite season. He didn't have nearly as much to do except review reports of spring flowers that grew from the seeds and bulbs he had planted on Christmas Eve. And there were many reports to review even though the spring had been kind of slow because so many gardeners had been so good. Then, just as the Christmas Cottontail was getting ready to take a break to brew a bit of pink clover tea to have with his favorite violet cookies, one of the underbunnies came charging into the greenhouse waving a piece of paper while talking excitedly. 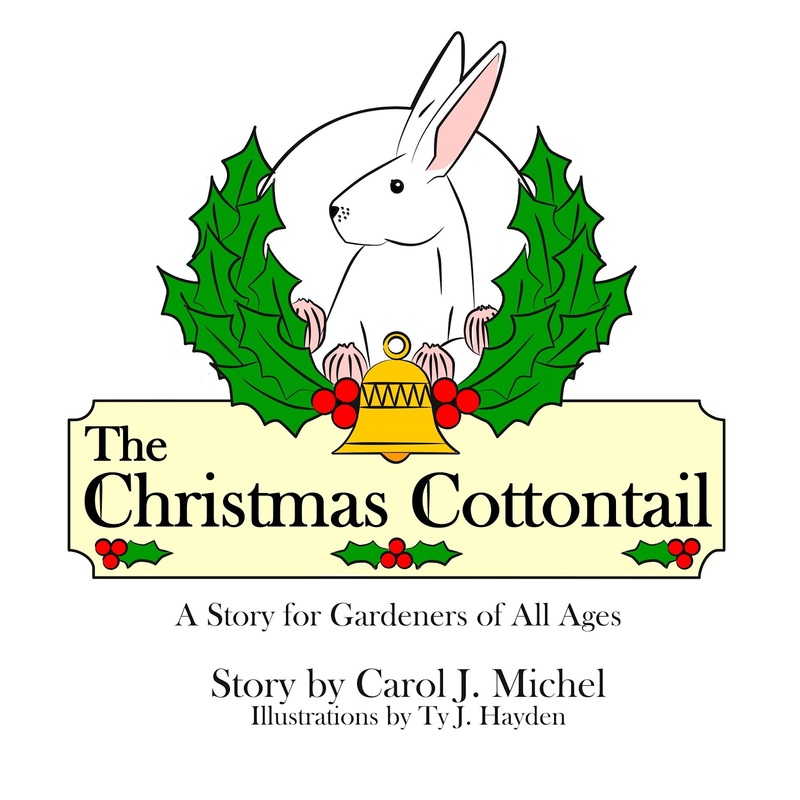 "Slow down," said the Christmas Cottontail, "I can't understand a word you're saying. Here, drink a spot of this tea to calm you down." The underbunny took the tea cup from the Christmas Cottontail, took a big gulp and a deep breath, then shared the good news. 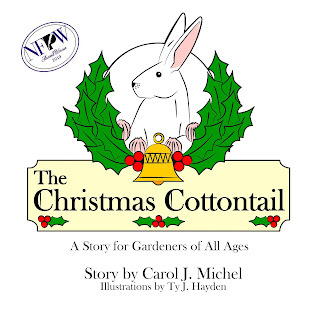 "Your story has won a prize, Christmas Cottontail!" 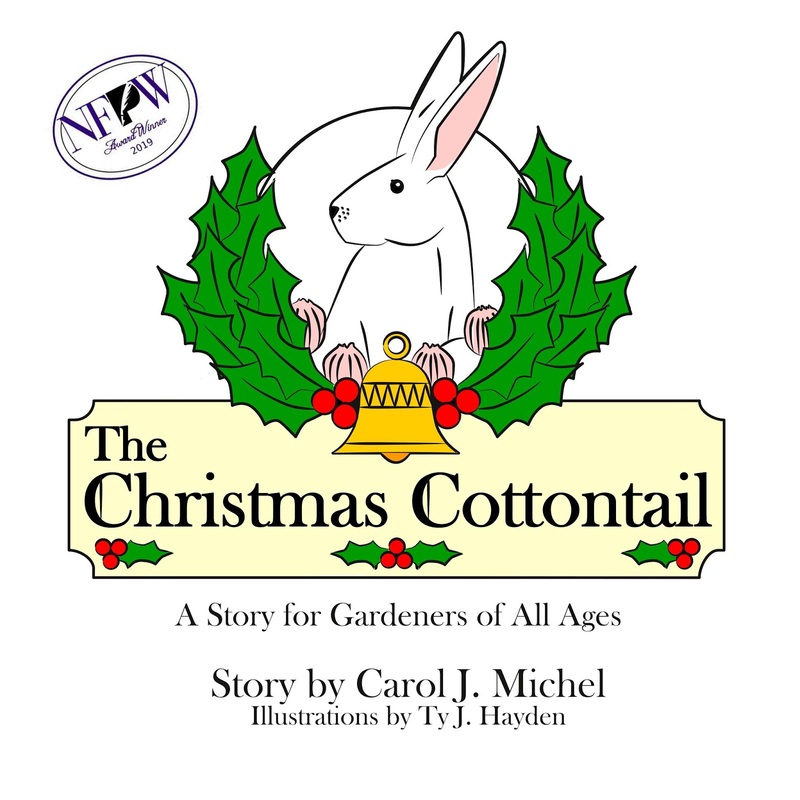 And then he explained that Carol submitted The Christmas Cottontail book to the Women's Press Club of Indiana, where it received a first prize in Children's Books - Fiction for Indiana. 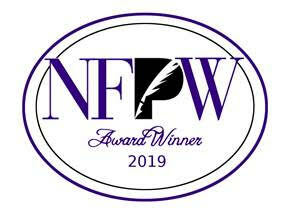 Then it was passed on to the National Federation of Press Women to compete amongst other state winners where it received third place overall. 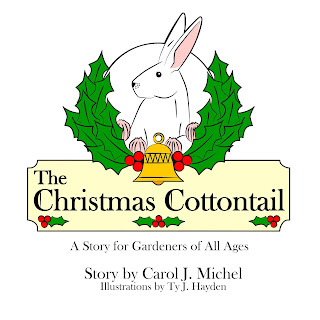 "Wow, that's exciting," said the Christmas Cottontail, "but I wonder why she would submit my story as fiction? Doesn't she believe I'm real?" "Oh, sure she thinks you are real," replied the underbunny, "but you know how folks can be about bunnies like us. Let them think what they want. We can just look at all the spring flowers to see how real you are, at least for good gardeners!" "That's right," said the Christmas Cottontail, "and I'm tickled pinker than this pink clover tea that we've won this award. Now, if you'll excuse me, I need to see how it will look on my book cover, and oh, before I forget, I need to tell Santa Claus!" Big congratulations, Carol! I'm so happy your work is being rewarded!